This week, over 40 ATS members and patient advocates traveled to Capitol Hill to advocate for increased research funding, health care reform that ensures affordable health insurance coverage and for legislation to expand research and treatment for veterans with burn pit exposures. ATS members came from 23 states across the country with members of Congress and their staff to discuss the policy priorities of the American Thoracic Society. The top priority of the ATS Hill Day was to advocate for NIH research funding. The research community was stunned by President Trump's proposed budget to cut NIH funding by 18 percent for the fiscal year, and the ATS wanted to send a strong message to Congress about the essential value of NIH research funding to the health and welfare of the American public. Our strong support for NIH funding was well received on Capitol Hill with members of Congress across a broad political spectrum assuring ATS members that President Trump's proposed NIH cut is opposed by Congress and that Congress will continue to seek increased funding for NIH and other federal science programs. While the ATS received reassuring messages from our Hill visits, the ATS will continue to keep the pressure on Congress to make good on their promise to support NIH funding. A second important and timely issue was health reform. The ATS Hill Day occurred just days after the House of Representatives failed to consider legislation to repeal and replace the Affordable Care Act. In a matter of days, House Republican leadership has swung from confident statements of legislation, to "Obamacare is the law of the land," to statements that health care reform is too important to set aside and calls for Democratic support for health reform measures. In ATS meetings, staff on both sides of the aisle seemed more certain that health reform was stalled for the foreseeable future. Senate Republican staff in general seemed more inclined to believe that significant health care reform legislation could only happen on a bipartisan basis. The ATS continued to educate Congress on the benefits of health insurance expansion for the patients we serve. In hopes of finding an issue that might find bipartisan support, the ATS also urged Congress to dedicate funding to better understand the unusual respiratory disease suffered by servicemen and women exposed to burn pits and other respiratory exposures in Iraq and Afghanistan. Bipartisan legislation has been introduced that would create a VA Center of Excellence to study burn pit and other respiratory exposures. ATS Hill Day "teams" also featured participation from members of the Public Advisory Roundtable (PAR) and fellows, who provided unique perspectives on the need for increased respiratory research, showing directly how scientific research translates to patient advances. ATS fellows helped demonstrate the importance of sustaining the future generation of researchers for members of Congress and staff. ATS President David Gozal, MD, said, "The ATS Hill Day is an outstanding physician-researcher partnership with our patient groups where we communicate directly with our members of Congress about the ATS's legislative priorities including the need to increase research NIH funding, affordable health insurance coverage and expanded research and treatment for veterans with burn pits exposures." 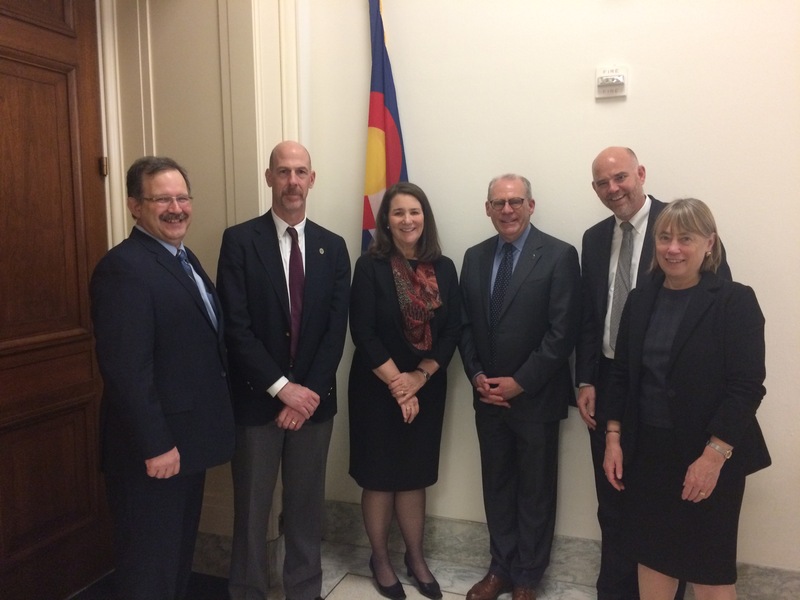 He continued, "Hill Day visits provide a unique opportunity to build relationships with our legislators and create a seat at the table to advance respiratory health together."